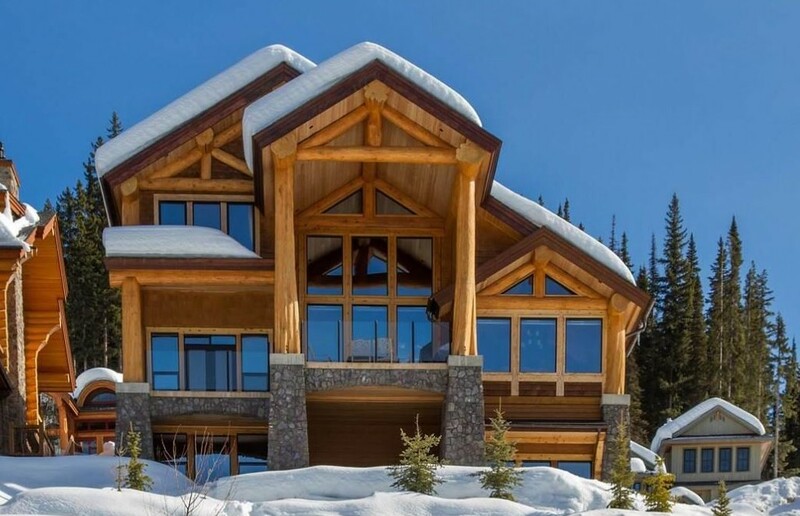 This Sun Peaks luxury cabin is actually a spectacular and luxurious log post and beam chalet that provides beautiful views inside as well as of the mountains outside through the soaring windows. Jokingly dubbed ‘The Cabin’ by its owners, this wonderful slope-side luxury resort home offers the finest in Sun Peaks accommodation. With 5 large bedrooms and 4 ½ bathroom, this home comfortably accommodates up to 14 guests and offers everything one would need for an exceptionally memorable vacation. The massive log beams on the exterior compliment the large beams in the great room with a large fireplace, soaring, vaulted ceiling and wonderful views. The high ceilings throughout this special chalet, spacious rooms and luxury finishing make this a ‘cabin’ to remember. You might also want to take full advantage of this amazing space to have an exquisite dinner prepared and catered to you by red seal chefs!? Or have a Mercedes touring van pick you up from Sun Peaks and guide you to nearby Kamloops or Okanagan wineries for a custom winery tour or even arrange for a luxurious in-suite massage. This ski-in/ski-out Sun Peaks luxury cabin has a gourmet kitchen, in-floor radiant heat, sauna, beautiful, covered hot tub, media/games room for entertaining and a heated driveway with double garage. The expansive master bedroom has a king size bed, the 2nd bedroom has a Queen, the 3rd has a tri-bunk that sleeps 3, the 4th has a queen and the 5th has a set of single bunk beds as well as an additional single, plus a sofa bed in the den, accommodating 14 in total. 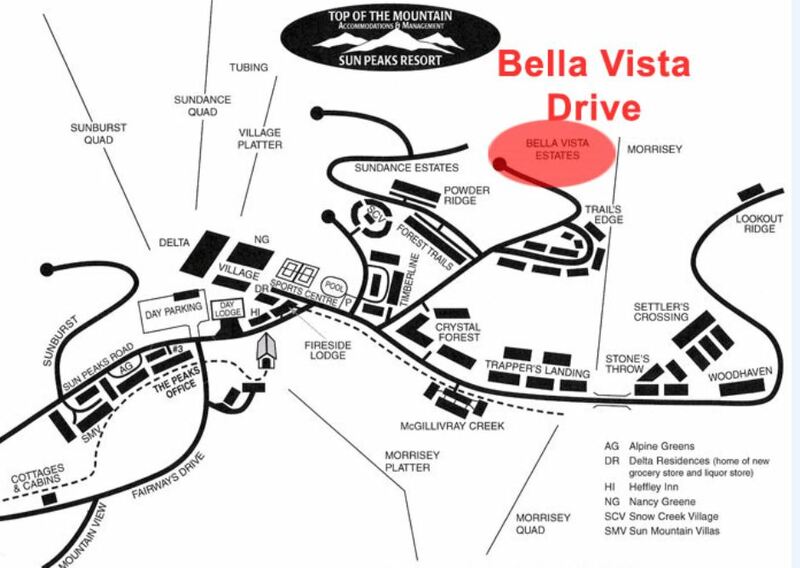 This luxurious home is located on Bella Vista Drive, which is on the side of Sundance Mountain just under the Mt. Morrisey Connector. This area offers some of the Best Sun Peaks chalet options, and this is certainly one of the best Sun Peaks rental chalets available. Prices start at around $900/night and up, depending on the season. Click and then click on the Bella Vista property to see beautiful photos of this property and to obtain the Best Sun Peaks chalet pricing quote on this Sun Peaks luxury cabin. Book directly and save the new VRBO service fee too - up to a possible 20% discount! Another luxury option to consider is this Best Sun Peaks Chalet - the Moosehead Lodge. Sign up to receive our Best Sun Peaks Newsletter and Special Offers - no spam! 'Like' us on Facebook and keep up to date with Best Sun Peaks information.